If you are looking for Fontana car insurance, homeowner’s insurance, advice about tax-deductible insurance, or even business tax services, Red Line Insurance Services is worth your consideration for a variety of reasons. With ten years of experience in the insurance industry backing us, we’ve been offering California residents the chance to take advantage of getting our lowest-rate guarantee. We will beat or match any competitors rate, which guarantees you the most affordable price with every policy we write. No matter your walk of life or what your specific financial circumstances are at the moment, we can work with you to formulate a strategy that won’t cut your financial legs off. We make sure you, your family, and your assets are secure without flipping your world upside down. 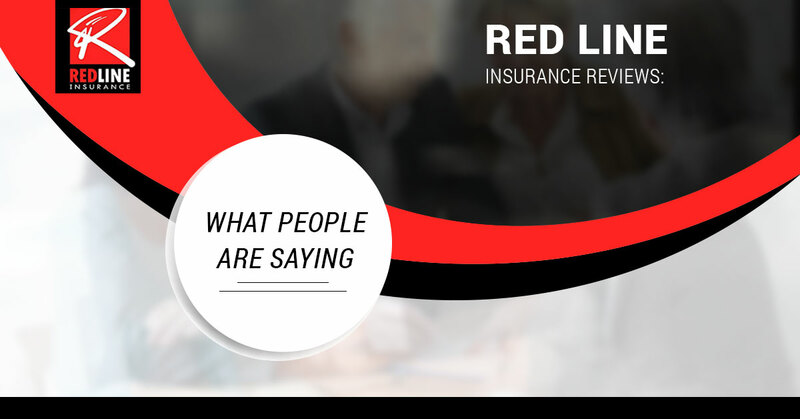 In today’s post, we wanted to take a few moments to let people who were once like you have a chance to talk about the way we do business at Red Line Insurance of Fontana, California. We figured that we could only sing our own praises so much without giving other folks a turn or two! But before we begin, we’d like to take a moment to explain why our reputation matters so much to us. Online reviews and overall reputation matter more than they ever have. People can scarcely go to a new restaurant without reading a minimum of fifteen reviews on the place. So when it comes to more serious life decisions, it follows that people will want to make sure they are working with a reputable local insurance company. That’s why we’d like to take the time to highlight a few of our favorite recent testimonials and reviews. We understand that for someone to leave us some kind words and five stars, we did something right. We’d like you, our prospective customer, to read about it. Keep reading if you are interested in learning more about our Fontana insurance agency! Jasmine, thanks so much for taking the time to let us know how we are doing. Appreciate your business as well, of course, but we especially appreciate you shining the spotlight on how we go about our business. We are a part of the Fontana community, which means we treat our clients like we would our neighbors or family. That’s a huge reason we got into this industry in the first place – we love helping people get secure and effective insurance coverage! Luisa, we love how real this review is. It’s a case that isn’t uncommon either, as we’ve helped a high number of Fontana residents (and people from Watts) get affordable coverage. In this case, Luisa was none too pleased about the figures being thrown around by the “other guys”, but fortunately we were able to find a rate she was confident about. Thanks again, Louisa! Oscar, it’s our pleasure to assist you and your family. As unfortunate as it is, Oscar’s situation is all-too-commonplace. People simply don’t know where to turn for help when it comes to finding them a better auto insurance rate. In Oscar’s case we were able to save him over $100 every month! These are the kinds of savings we can help people with. Thanks again, Oscar! Aurelio, we appreciate your business, five stars, and kind words. Aurelio’s words are short and sweet; we helped him get the lowest monthly rate possible! If you are ready to learn more and get your free quote, contact us today!